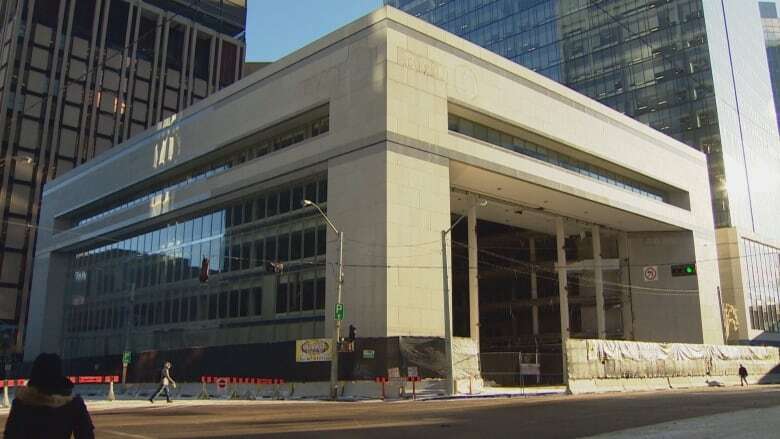 A proposed high rise on the site of the now-demolished BMO building could provide housing for hundreds of people in Edmonton’s downtown core. A proposed high rise on the site of the now-demolished BMO building could provide housing for hundreds of people in downtown Edmonton. The city's design committee heard a presentation Tuesday evening from architect Jimmy Amichandwala of Der Associates Architecture Ltd, who shared the building's design details. "We're going to bring in a lot of residential components and visitors to the downtown, and support the entire district around it and just further revitalize the downtown that's currently underway," Amichandwala told CBC News. The development permit is currently under review by the city. If approved, the 50-storey tower near 101st Street and 102nd Avenue will include 371 residential units and 168 hotel rooms, along with the opportunity for commercial space on the ground floor. It's unlikely the building will have offices, as there's already plenty of office space downtown, Amichandwala said. "We think there's a demand for both of those products [residential and hotel suites]," he said. "I think the office product is quite full up in the Edmonton downtown area, or quite saturated." Residents and hotel guests would have access to six levels of underground parking, along with bicycle storage. The firm has also proposed pedway access to either City Centre Mall or the nearby Kelly Ramsey building on Rice Howard Way. 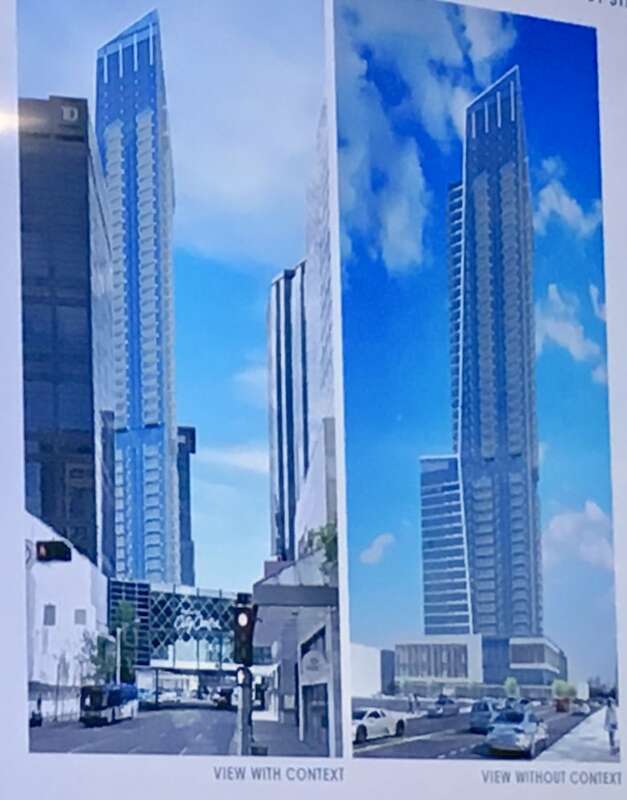 Renderings of the proposed building showcase a sleek design, featuring grey balconies up the sides and an angled roof at the top of the narrow tower. One design committee member voiced a concern about the balconies, noting that when people look up at the tower, the view would feature the grey undersides of those balconies. The architecture team will look into changing the colour. If the development permit is approved, Amichandwala said it could take two to three years to build the high rise.